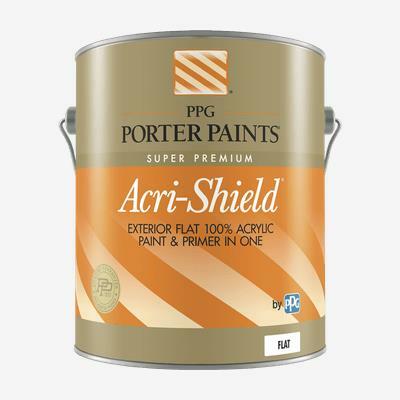 ACRI-SHIELD® Exterior Acrylic is a premium quality, 100% acrylic house paint. The advanced formula can be used in both normal and marginal, above freezing conditions when a low temperature cure is required to form a proper film. It can be used for all types of new or previously painted commercial, institutional and residential exterior wood and masonry surfaces such as siding, trim, eaves, facias, shutters, fences, properly prepared brick, block, stucco and concrete surfaces, vinyl, primed metals and metal siding, vinyl siding and trim, etc. It can be used over both latex and alkyd paints.